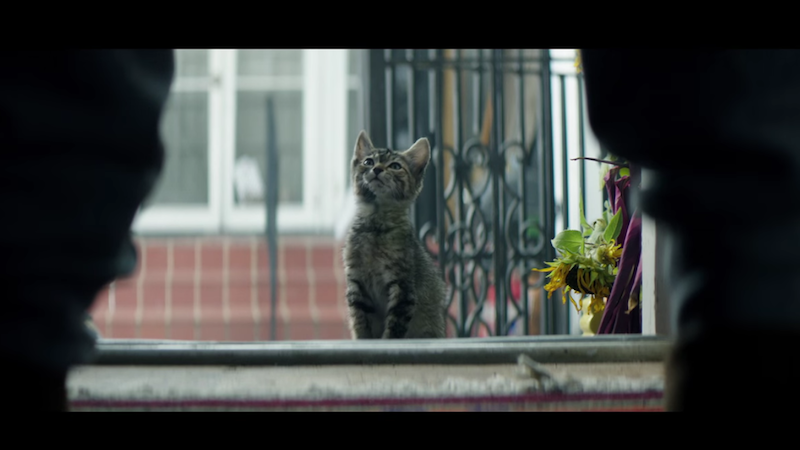 The impossibly cute kitten in the movie Keanu—the only reason many people will go see it—is actually not just one but seven goddamn kittens. Keanu is the story of Keanu, a kitten whose kidnapping forces Keegan-Michael Key and Jordan Peele to go through a series of obstacles to try to rescue it from a drug dealer. How exactly did this annoyingly adorable kitten get cast? His name is Nacho. And it’s Jeffe. And also Squibword. As it turns out, seven different but very similar-looking kittens were used to shoot Keanu. “Cuteness was definitely the biggest priority,” says director Peter Atencio, who held a kitten audition in New Orleans, deciding between two types: brown tabbies and black-and-white tuxedo kittens. The filmmakers ended up selecting the tabby breed since they’re literally everywhere and easy to swap on screen. Plus, “they’re extremely photogenic and easy to work with,” says Atencio. After weeks of conditioning — using treats as rewards and “a lot of repetition,” says Payne — the trainers were able to coax the kittens into performing many of the stunts without any CGI help at all, including a scene in which Keanu sprints through a gunfight (the cats were taught to dodge exploding squibs). Jesus Christ. There was also a rep from the American Humane Association on set to ensure the kittens’ safety. The kitten stars, all of them, have since been adopted.